About ten days after running the most disastrous campaign ever ran by any leader of the BLP in St. John, a bitter Owen Arthur who was rejected even by BLP supporter, is seeking to do damage control but succeeds only in destroying Grantley Adams’s party even further. In short, Owen Arthur is a national embarrassment and disgrace, who is obsessed with his public approval rating! Time was when BLP members and supporters trusted Owen Arthur and his judgment but it is clear that a lot has changed since 2008 and he only has himself to blame. No one expected that he was capable of putting so many thousands intended as campaign contribution, into his personal bank account unknown to anyone in the BLP. There are also BLP people who stop you on the road daily to tell you that the taxpayers’ money was not Owen Arthur’s’ to help-out a friend,’ even if that friend was in a tight spot. There are two things that are not in dispute. One is that under Owen Arthur, the BLP is fast developing an image as a party, which is anti-women. If Owen Arthur is giving you, that seems alright but if as a woman you can make it on your own, then you immediately become a target for his unprovoked and caustic attack. Mia Mottley, Andrea Power and Mara Thompson are three of many examples. The second thing which is not in dispute is that Owen Arthur is a tired, lonely and bitter old man who desperately wants power. Because of his serious love of himself, he is cranky and terrified by the notion that there can be a Barbados or even a Barbados Labour Party, without him. This is a man who made it clear to Barbadians that his sole aim in politics is to ensure that the DLP never becomes the government again. His intention is to orchestrate a rescue mission of himself as having been called to save Barbados. The very man who is said to have gone to Parliament less than six times between 2008 and October 2010 is now being reported in the Sunday Sun of January 30th 2011 as having said: “I don’t want to appear as though I am fighting with Miss Mottley…I am trying desperately to hold the Barbados Labour Party together.” Mind you, Owen Arthur is talking about a party that has been in existence for over 72 years and had giants within its ranks like Grantley Adams, Tom Adams, Henry Forde, Cheltenham, Louis Tull, Bree St. John, Mia Mottley and Billie Miller. Wasn’t the BLP united before Arthur and his ‘gang of five’ ousted Mia Mottley in October 2010, which started the fast free fall to mistrust and confusion? What does it mean when someone says: “those who are part of the party’s platform should step in sync with the party?” Should Mia Mottley have joined Owen Arthur and those on the platform in the St. John By-election who told the country that Mara Thompson was “unacceptable,” and that she was an “affront?” Should Mia Mottley now join with Arthur and others and criticise the DLP weekly for the sake of criticism? That is what this issue in the Sunday Sun is about: a seriously wounded Owen Arthur now seeking to do damage control! It shows the level of desperation on his part to be relevant and to grab headlines. It is a desperate attempt by an embarrassed and seriously wounded Owen Arthur to create a distraction tactic to get the spotlight off him. After promising BLP members that in order to win, they only had to make him leader, Owen Arthur cannot deal with the humiliating rejection he got in St. John, even at the hands of BLP supporters. During the By-election, it was also quite noticeable that Mia Mottley distanced herself from the unproved attack made on Mara Thompson by Owen Arthur and other persons, who like his style of politics and as expected – spurred him on in his wrong doing. In contrast, it was not surprising that Barbadians on both sides of the political divide as well as those in the middle – felt that Mia Mottley’s two speeches were dignified, mature and responsible, whereas two regional Prime Ministers expressed shock and total disgust at Owen Arthur’s un-called-for attack on Mara Thompson. Owen Arthur keeps finding himself on the wrong side of public opinion. But what could you say about a man who called a Media Conference on the very morning that Prime Minister Thompson died! It is not often that the region sees in Owen Arthur, a man who has fallen so far from grace in a mere three years. Now realising that he continues to be an embarrassment to the BLP and a serious turn-off to the electorate, despite saying that there is a clamour for him, Owen Arthur has started on a renewed mission to seek to pull down and destroy Mia Mottley and ever other woman in Barbados he hates. His is the behaviour one usually associates with a drunkard and a bully who engages in the most reckless acts and when spoken to, go home and take out his frustration on his family. This is yet another in a never-ending-series of unprovoked attacks on women, especially Mara Thompson and Mia Mottley. First he told Barbadians to find her “unacceptable!” Then he tried to make her look childish by stating at the Party’s Conference: “Mia the BLP needs you.” After calling for healing, he sent a letter to the Clerk of Parliament asking for an investigation into his baseless allegation that files were missing from the Opposition’s Office. And now, yet another attempt to suggest wrong doings, as regards funds left in an account. Is the information, which was leaked to the Nation Newspaper, suppose to downplay the fact that Owen Arthur is known to have put thousands intended as campaign contributions – into his personal bank account – unknown to any one in his party? Why an investigation into the account being mentioned in the Sunday Sun, where (it would appear that) funds were used to advance the work of the party but not an investigation into the charge made by the Parliamentary Representative for St. James North, Rawle Eastman – as regards why someone paid the party $560 for 56 delegates he (Rawle) knew nothing about? Why not an investigation into why the Women’s League (headed by the very woman who is now Arthur’s Personal Assistant) was able to cherry-pick 210 delegates, when no meeting was held for that purpose? Why no investigation into why under-aged persons, as well as person who are said not be members of the BLP – and never made any application to join – were down as delegates to votes for George Payne? Does this leaked report in the Sunday Sun, has to do with plans being cooked at the highest level within that party to discard two women: namely Mia Mottley and Cynthia Forde? Is it true that plans are being made to de-select Cynthia Forde and replace her with Clyde Mascoll; to deselect Arthur Holder and replace him with Rudy Grant; to de-select Rawle Eastman and replace him with George Payne’s cousin, Douglas Skeete and to de-select Mia Mottley and replace her with Ralph Thorne? 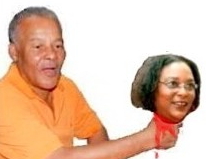 The issue is Owen Arthur’s insecurity and the speedy rate at which he is turning off even die-hard BLP members. Owen Arthur does not like what he sees when he looks in the mirror. He is a lonely and empty man who is searching for peace and desperately needs help. Because he is bitter, he feels that no one else should be happy. Despite presiding over a dysfunctional family he has manufactured in the last four years, he remains empty and bitter. The only thing that can cheer him up is he becoming Prime Minister again. But: Exactly how did Owen Arthur reach this stage of thinking that there can be no Barbados without him? After 8 years the head of a government gets too comfortable with power and intellect and integrity are supplanted by ego and a form of self deluded omnipotence that the country cannot survive without them. The problem with Owen is that he started with a huge ego and little integrity and intellect. The game of power was always more important than delivering real and substantive long term positive change for the little guy. This drivel is hilarious as is Hartley’s pretence that barbados Underground and BFP are not his creatures. Do not let an election where a DLP green monkey could have beaten the BLP fool you Hartley. The mood of the country is turning and the critical issues will put the DLP out of office irregardless of who leads the BLP. David never won in 2008, Owen lost…it is always thus. The DLP are in the process of losing right now and the vast sums spent on a safe seat show how scared they really are. unless something miraculous happens the DLP will not serve a second term…no matter how many sympathy votes they court. Bajans will feel it in their pockets and vote wth their pockets. INCREASING TAXATION IN A RECESSION IS INFAMY…meanwhile this inept government continues to borrow and spend…and use a political hack of a Central Bank Governor to effect spin rather than policy. JOBS ARE BEING LOST EVERY DAY YET THE GOVERNMENT ONLY GIVES WORK TO THE BIG BOYS LIKE JADA AND PRECONCO WHO HAVE MECHANISED SO AS NOT TO EMPLOY MORE BARBADIANS. Both the Minister of Labour and The Central Bank Governor reported on one weekend that more jobs would be lost this year. This did this in a blase fashion without much care for the families it appeared. Yet when the BLP ran an ad pointing out this, the Governor recanted and magiced up a 2% growth in the first Quarter – Does anyone believe this was anything other than politicing and false promise? FREUNDEL IS NOT RUNNING THIS COUNTRY OR THE DLP, HARTLEY DOES. This election clearly showed us that. Are we happy that a man of Hartley’s dubious reputation has so much power. How long before his “Legacy” people Sinckler or Mara oust Freundel? Bets anyone? The biggest joke, other than the Minister of Health himself, is Donville’s electioneering that work would start by March 15th on the polyclinic…who will be building this…Sparman? Hartley’s attempt to insulate Mara while 5 and 10 man Jada Lashley attacked the BLP candidate was destined to fail. She was attacked as a candidate should expect. this does not make Owen misogynist, just modern politics. Mara will receive more of this the higher she climbs at Hartley’s behest. Nothing personal, just business as usual. Mara bought a house in Martins Bay with Leroy Parris’ wife for $800,000 cash. Maybe she should declare her assets so we can see how much she and David benefitted from the Nation’s loss due to CLICO’s political patronage and the purchase of the 2008 election? CLICO is still to be resolved. Watch for the sting in the tail. Keep spinning Hartley, the electorate will soon realise that spin can’t run a country. How are the banks going to be regulated, so they can’t overcharge their customers. How jobs are going to be created, and more people won’t be loosing their jobs. It seem to me all this spin is just to take people minds off what is really going on in Barbados. You can fool some of the people some of the time, but certainly can’t fool all of the people all of the time . Another thing when is the gun issue in Parliament going to be settled. You bring up some good questions that need to be answered and dealt with. Once the first 5 questions you ask are known, the answers to the remaining questions will be easy to get. Time is going to answer your questions. My bet is it will be a long long long long long (to make the point) time before the answers are known. Rohan I have been repeatedly enquiring about many of the matters you have mentioned here, but believe me now …. the DLP PEOPLE WILL NEVER ANSWER.THEIR ONLY INTEREST IS IN DIMINISHING OWEN ARTHUR, THE MAN WHO HAS THEM TREMBLING IN THEIR BOOTS. Truthman Burton | January 31, 2011 at 7:14 PM | Apollo My Friend, I have reposted below, your comment of January 31, 2011 at 11:01 AM. But let me first make a few comments of my own. Your remarks demonstrate a slice of DLP activities that constitute the most DISGRACEFUL SET of occurrences in Barbados Politics in the last decade, and I wish to keep this particular posting up front so that DLP DIMWITS like CARSON CADOGAN, AC, may eventually make a relevant comment. TO MARA THOMPSON,(or her loyal subjects) when HARTLEY writes your next speech, make sure that he includes some information on YOUR JOINTLY-OWNED HOUSE IN MARTINS BAY, PURCHASED IN CASH BY YOU AND FAY PARRIS [Leroy’s wife] FOR NEARLY A MILLION DOLLARS(CLICO FUNDS?). ALSO give us some information on THE FAMILIES FIRST ACCOUNT ALLEGEDLY USED BY YOUR HUSBAND DAVE TO RECEIVE AND REDIRECT MILLIONS OF CLICO DOLLARS FOR ELECTIONEERING PURPOSES ETC.!!!!! DAVID OF BU, I find your position on demanding accountability from the DLP VERY SUBDUED and a tad MIND-BOGGLING!! Here you are moderating a popular BLOG, and you seem so intent on demanding certain standards from the BLP, while you almost turn a blind eye to alleged unsavoury happenings in the DLP. How can you feel comfortable by accelerating in a biased and strident fashion, every little rumour and spin propagated here by DIMWITS like CCC ET AL against the BLP, BUT WHEN IT COMES TO THE DLP, YOU MAKE SILLY REMARKS like “You may well be correct unfortunately, BU can’t speak to it.” That’s what you said to APPOLLO WHEN HE SUGGESTED YOU SHOULD ALSO FIND OUT HOW MUCH MONEY WENT into FAMILIES FIRST account from the coffers of CLICO, SOL and JADA before YOU ASSIST DLP BLOGGERS TO ATTEMPT THE HANGING OF Owen Arthur, THE MAN THEY FEAR SO MUCH. “Appollo 13 | January 31, 2011 at 11:01 AM | The DLP campaign was run out out the FAMILIES FIRST ACCOUNT. I know that for a fact. Every cheque was signed by David Thompson. Also the people behind the Vyz Cartel and Movada concert was FAMILIES FIRST. So if FAMILIES FIRST was the account for the election which David Thompson alone controlled, tell me who is now responsible for that account with all the millions of the policy holders’ money. Is this account now under the control of Mara as certainly it would be part of Thompson’s estate now? Leroy Parris leaked that info to David Thompson but looked how he looted CLICO with his own company and he gave Thompson millions for years. During Mia’s no confidence debate, the Bees asked the Thompson and the Dems how much they got from CLICO if Owen got $75000.00, none of them ever answered. So dont talk about a cheque to Owen. David Thompson is dead, so Mara has to answer about that FAMILIES FIRST account with all of CLICO, SOL and JADA money. David Thompson get all the money and put it in this account which only he controlled. First, let me state once again that I am not a member of any political party. I try to deal with the overlooked issues that BU and BFP refuse to deal with due to both blogs leaning heavily on the ruling party. I am stating emphatically that if Owen did in fact received $75,000.00 and he is was not a friend of the chairman of the donor of the funds; how much David or the DLP or Family First would have received? I go further to state that since RBTT purchased CDB in 2004, when it was owned by Clico and who instituted an Audit and a cheque bearing the name Owen Arthur was found. How come that no paper-trail for cheques were found for the DLP? Cheques payable for services rendered for utilities, rental, salaries, capital expenditure and even donations or gifts should be accounted for during an audit. Probably those cheques were removed prior to the 2004 takeover. What say you Clive? For over five years BFP has been fair and equal in demanding accountability and transparency from both major parties. The party in government always gets primary attention because they have the chequebook, but we don’t forget about the unanswered questions and corruption of the BLP when they formed the government. We have also repeatedly pointed out that once in power David Thompson and the DLP never held the BLP to account for the corruption because the parties have a gentleman’s agreement: no charges, only bluster and harsh words. That’s because neither party wants to start the war. David Thompson’s corrupt actions in defending his friend Leroy Parris and shielding him from inspection for the Clico mess, and then putting Parris in charge of the CBC delivering the news about Clico are beyond the pale. Type “Parris” into the search box at BFP (up at the top, see it?) and you’ll see dozens of articles we’ve written about this corrupt relationship between the DLP and Parris. Unfortunately we exchanged a corrupt BLP government for a corrupt DLP government. We at BFP shall keep hammering at both the best of our ability. ‘on Sunday afternoon former Prime Minister and Opposition Leader, Owen Arthur, called for the Government to operate with a higher level of transparency’. Now I think I have heard EVERYTHING! Perhaps he feels that see through and transparent are one in he same. Integrity legislation. Where is it DLP?. All this hogwash about BLP and corruption. What are you doing about it except a lot of long talk. Civil servants watch out for the Minister of Finance five sectors of government to rationalize. Every time this government talk about rationalizing , BOOM! jobs lost. Families first, Jobs No. 1. Remember those?. Lets see how long sympathy votes will make it better for Barbados, especially where it hurts the most, your pockets. Civil Servants you still voting DLP in 2013?. Why all this attention on OSA you may ask.Simple! The DLP are terrified of the man, they would much rather have Mia to deal with since she never did and showed no plans to really go after the DLP government.No matter how they spin it they continue to struggle with management of the country’s affairs .One day coming soon.They can run but they can’t hide.Too many people suffering and there is no end in site for it.They can spin as much as they want the but the die is already cast. To Rohan Frederick et al. I was just reading Barbados Today and I must confess that the Minister of Health seems like an upfront, no bs person. At least he is one Minister that has consistently been candid with the island in terms of healthcare challenges and has sought to find solutions. I am one who will have to pay the dispensing fee at my pharmacist, bu I also know that my doctor will have to be more aware of what is on the formulary and the dispensing fee for what he prescribes. for the first time in my life I am now aware of what the free medicationI was getting is worth. I somehow suspect that most of the so-called poor, old age pensioners already go to the polyclinics for their medical services including medication. According to Dr. Collette George, the Chairman of the team that decided on the formulary changes, all illnesses that were previously covered remain covered by the drug service. I must commend the young and still green Minister of Health for seeking to bring discipline to the healthcare sector. Tell me what you would do Mr Frederick if you were Minister of Health today? Why did Owen Arthur not do the tribute to Auntie Olga himself but Dale Marshall did it? Is it because She was born in Guyana while Mara – who he said is not “acceptable” and an “affront” was born in St. Lucia? Ain’t it odd why did Owen Arthur didn’t do the tribute to Auntie Olga himself yet Dale Marshall did it? Is it because She was born in Guyana while Mara – who he said is not “acceptable” and an “affront” was born in St. Lucia?